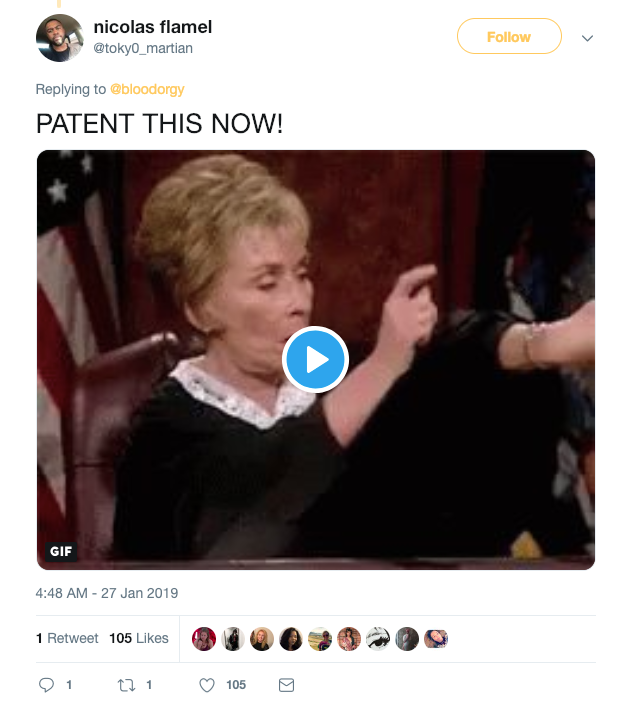 At the time of writing, the tweet garnered over 46,000 retweets and 197,000 likes. 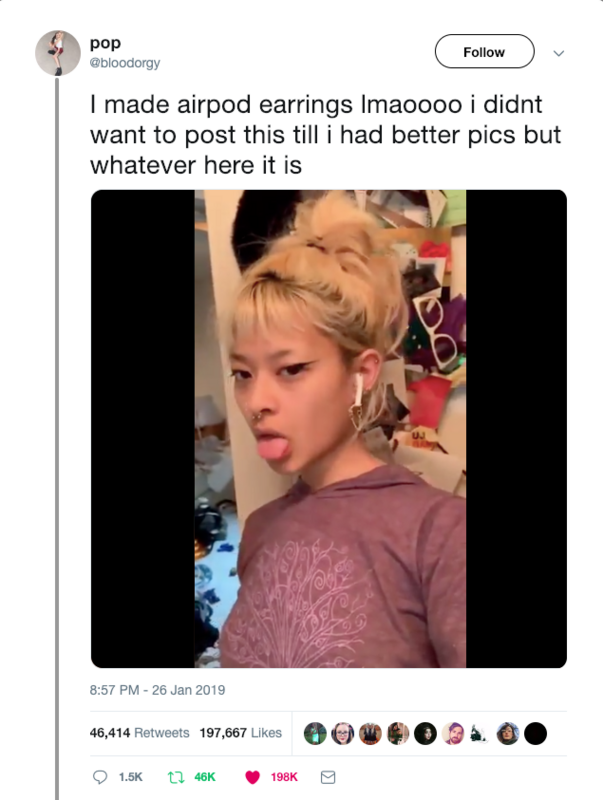 "I got AirPods initially because my cat ate through two of my Beats Bluetooth earphones. And all my other earphones," 22-year-old Gabrielle or "L" told SAYS. 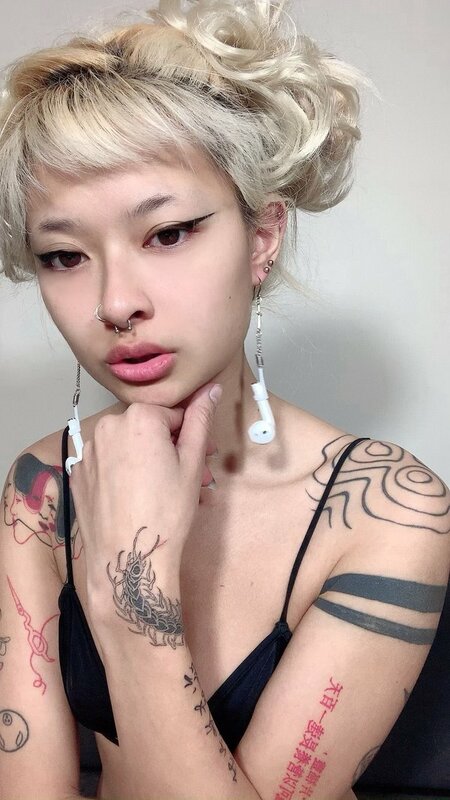 L, who resides in US, added, "But I have a tragus piercing which tends to push out earphones, so I needed something that could connect the earphones and made out of a material that my cat couldn't destroy." "I made my own connector similar to [AirPod straps]. Then attached the connector with jewellery materials to the earring itself. The earring is a regular jewellery chain and jump rings attached to a hoop earring," L explained to SAYS. When asked how they felt about the sudden popularity of their tweet, L said, "I think it's cool and funny. I made the earrings out of personal need and decided to post it for fun. I didn't expect all the reactions I got, both negative and positive." Though one question burns in the minds of many - how do you charge the AirPods? "People most often ask 'how are you going to charge them?' 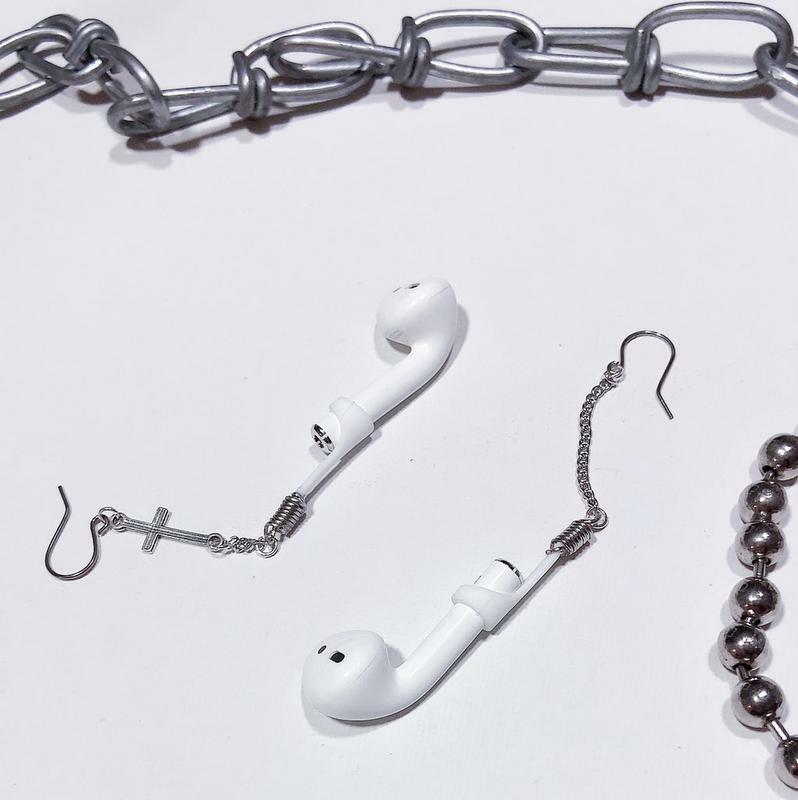 But the AirPods and earrings are completely detachable from each other," L explained to SAYS. L plans to release the Airings as custom orders for USD20 (RM82). When asked if they plan to release other designs, L said, "I probably [won't] make any other accessories unless there is a demand for them. [I]f someone wanted a necklace I would be willing to do that for them. Anything else is impractical."